Members of Team Predictronics had a wonderful trip to Suzhou, China for the 2018 Advantech IoT Co-Creation Summit. Predictronics is currently collaborating with Advantech on multiple solutions development initiatives that combine hardware and software technologies to further progress predictive analytics and health monitoring. 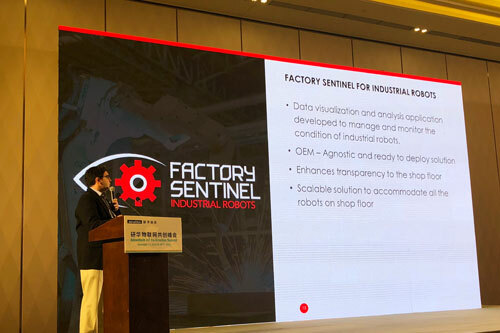 From this partnership, CTO Dr. David Siegel was given the opportunity to present his talk, Industrial AI for Smart Factory IoT Applications Technology, at the summit. Dr. Siegel delved into the numerous ways Industrial AI can be implemented and the steps and challenges of integrating it into a system. 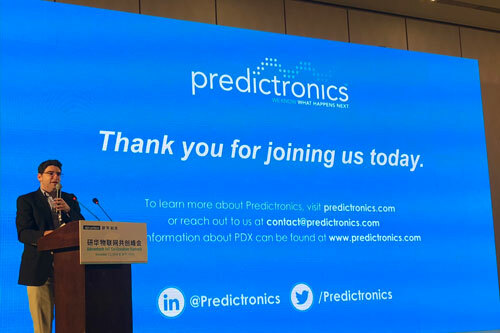 He also discussed the Predictronics PDX end-to-end software platform and shared some successful use cases that showcase its real-world application in predictive health monitoring and management for numerous assets, including industrial robots, press machines, rollers, pumps, and etching components. This event brought together thought leaders in industrial big data solutions and experts within the field of smart factories to collaborate on the next phases of IoT development and the advancement of the future of Industry 4.0, especially in the manufacturing, energy, and environmental sectors. Also in attendance were industry giants, such as Mitsubishi, Bosch, and Microsoft. Collaboration amongst colleagues in IoT and predictive analytics is essential to its growth and future. Having an ecosystem of partners will develop more creative thinking and expand the bounds of what is possible in innovation. Predictive analytics and IoT have to be industry-driven. Real-world applications and business case study data must guide what is necessary in technological advancements in order to not only better serve businesses and industries, but also the world. There is now far less talk and far more action. In years past, many in the industry have stated the importance of IoT and predictive analytics, but there wasn’t a great deal of data to back up these claims. As demonstrated through this event, many are now highlighting the raw data that has come from actually using these technologies in real-life. This better proves the value and worth of IoT and predictive analytics and their necessity to our future.